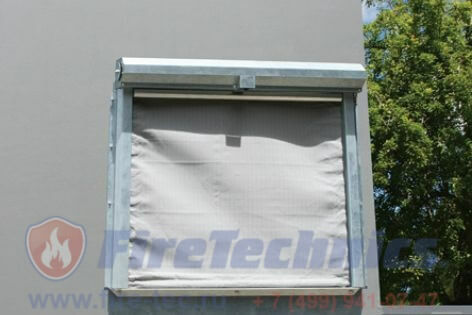 Fire curtains FireTechnics E120-EI120 for Windows are used to prevent transfer of fire between floors of a building or between buildings. 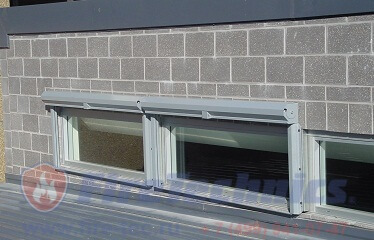 Usually mounted in the window openings to prevent the spread of fire and smoke and to protect people and property from fire. 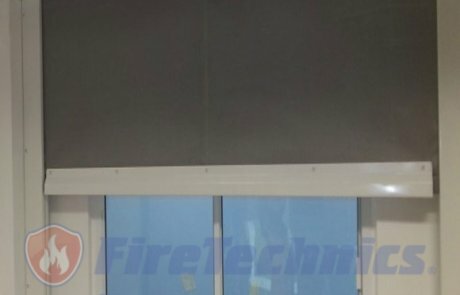 Limits of fire resistance: E120 (without irrigation water); EI120 (when unilateral use of irrigation water from the existing sprinkler or deluge fire extinguishing systems of the building; water consumption not less than 0.08 l/m2 per second). ♦♦ EI60 (without irrigation water). 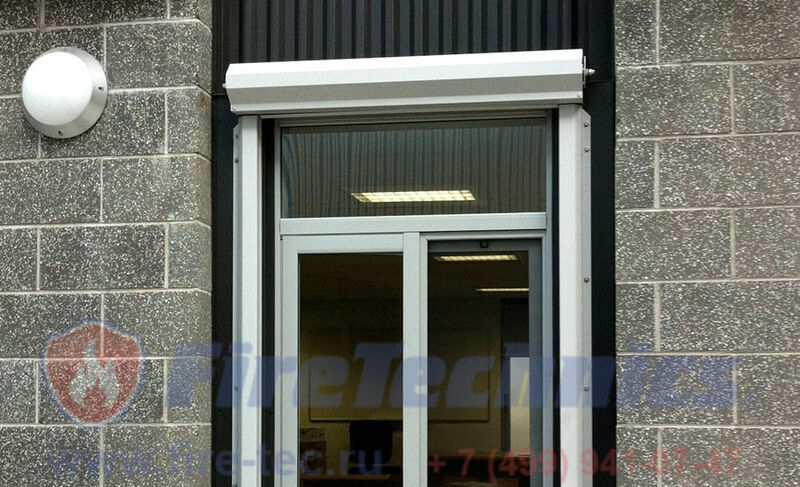 Depending on your needs we can manufacture fire curtains on the individual sizes, check with the Manufacturer. Press and hold the mouse to rotate the picture. Move your mouse or hit “Play” below the picture rotated itself. Click now to close the hint scheme. Canvas single layer. The fabric is certified as non-flammable and non-toxic. 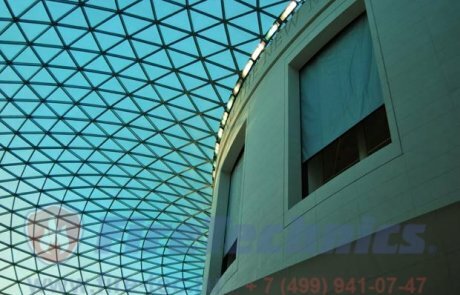 To obtain high durability when exposed to high temperatures within each fiberglass thread interwoven with thin stainless steel wire. The inner layer of the leaf consists of thermosetting composite materials, which at 160-180 degrees Celsius expands to 50 mm and provide protection from heat flow. The fabric is certified as non-flammable and non-toxic. 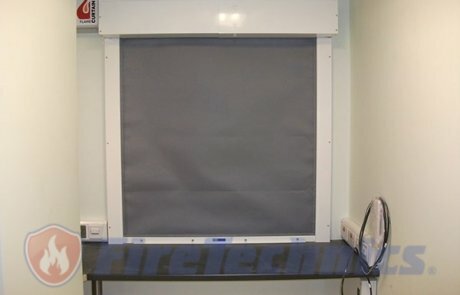 For accurate sizes please contact the managers of the company FireTechnics, depending on Your needs we can manufacture fire curtains for the Windows on the individual sizes. 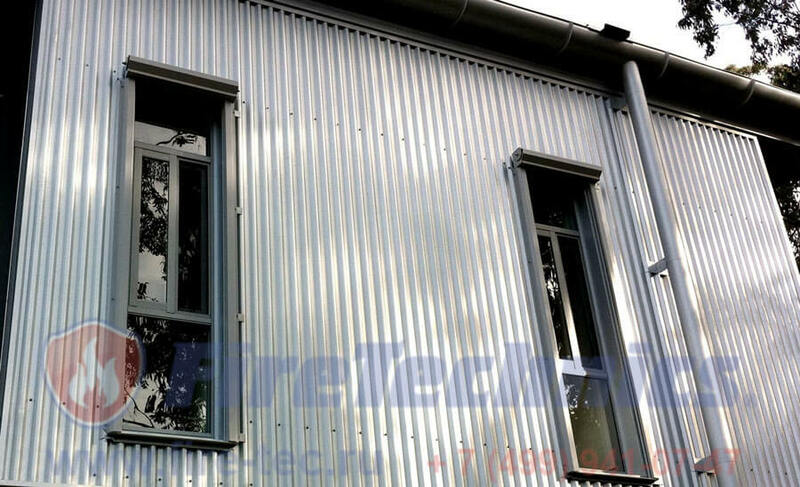 Made of galvanized sheet steel 1.5 mm. both ends of the housing closed with lids in order to make the contour of integrity, as well as for the perception of torque tubular motor. 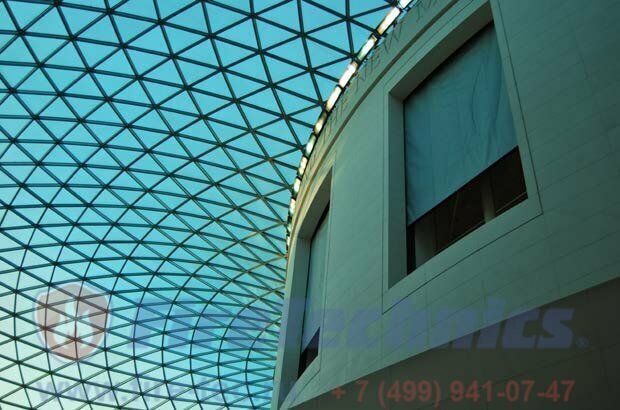 Color: any color scale RAL color or galvanized steel. made of sheet steel 2 mm thick (casing — 1.5 mm). Important! 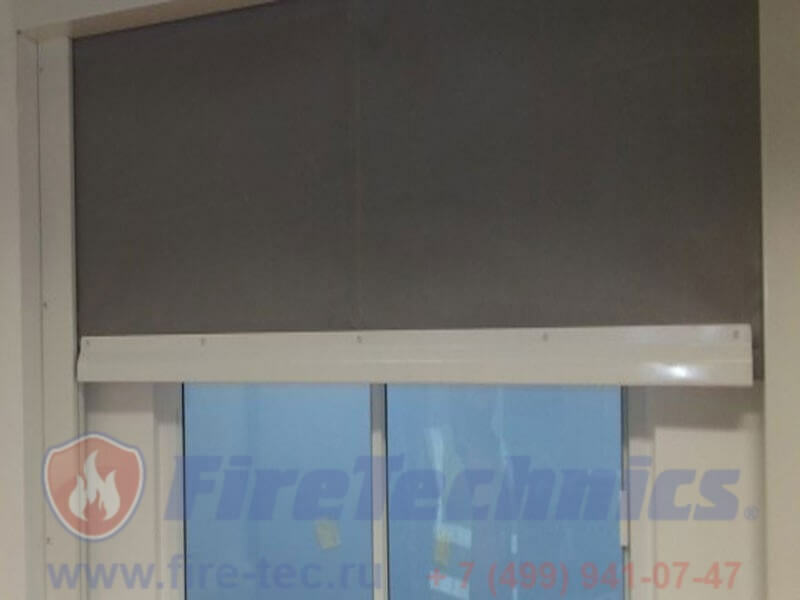 fireproof curtain FireTechnics (Fireshield) for Windows arrive on site virtually pre-assembled condition, which greatly facilitates the installation of fire curtains, increases the speed and correctness of execution of mounting and commissioning works. 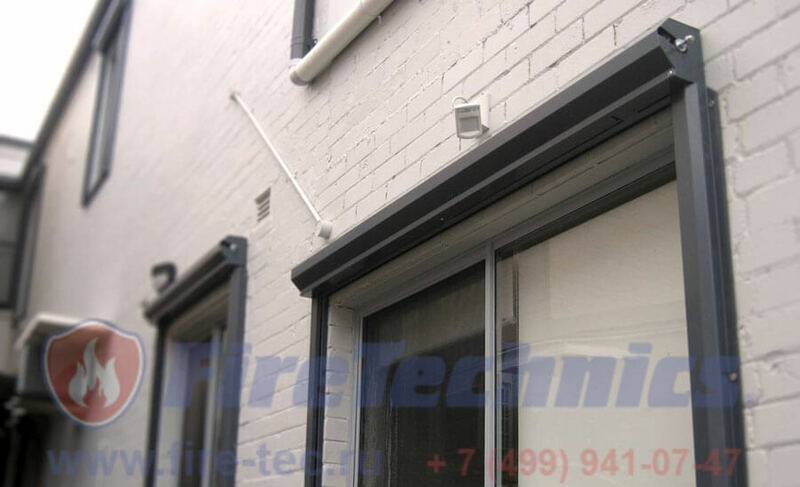 Fire Technics Fire Shields for Fire Shield windows are designed to prevent the possibility of transferring flames between floors or buildings. 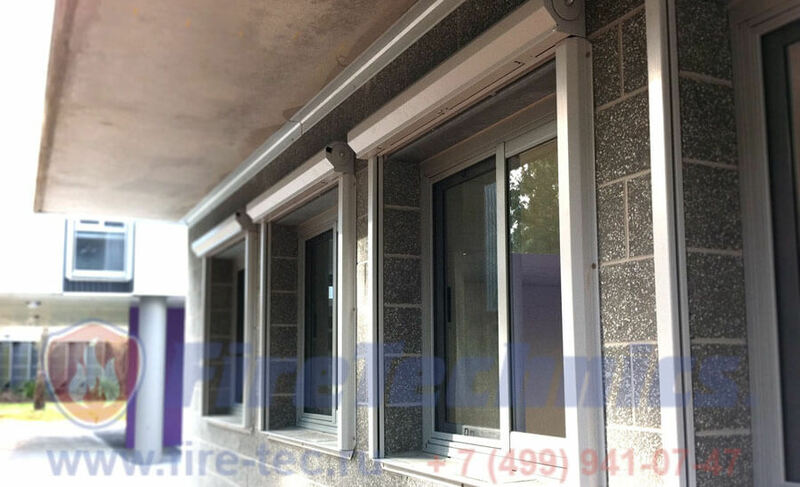 Usually, they are mounted on window apertures of different size and purpose, in order to prevent the spread of combustion products and, thus, to protect property and people from the outbreak of fire. 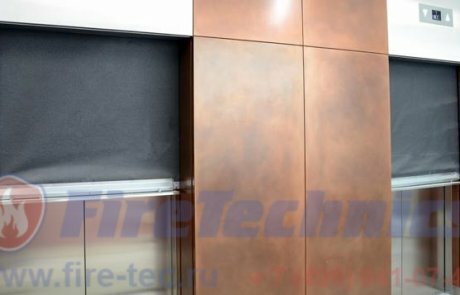 Such products become irreplaceable means of fire safety in any industrial enterprises, in office, warehouse, trade and other buildings where there is an increased risk of fire and damage to property and people. 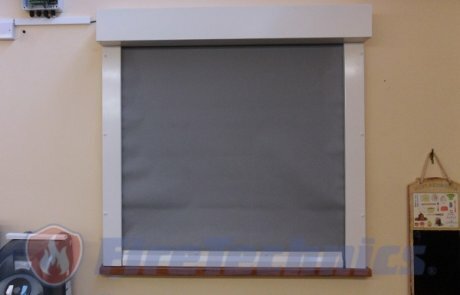 Structurally, fire curtains for windows of St. Petersburg are made on the principle of roller blinds. 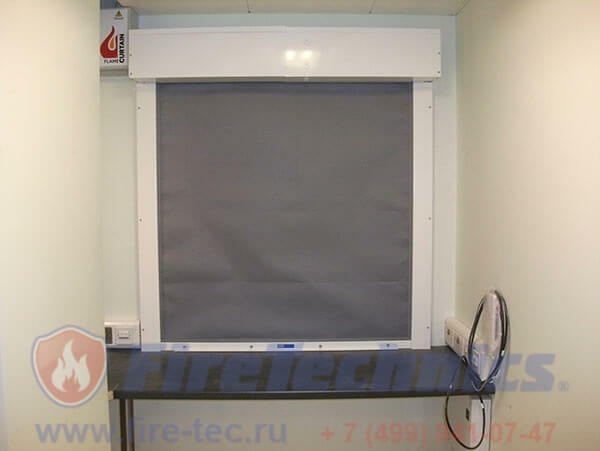 The set usually includes an installation box, supplemented by a shaft with an electric drive, which is able to connect to the centralized fire safety and alarm system through the management unit, in particular, the canvas, guides, remote control, buttons – a key and a switch. 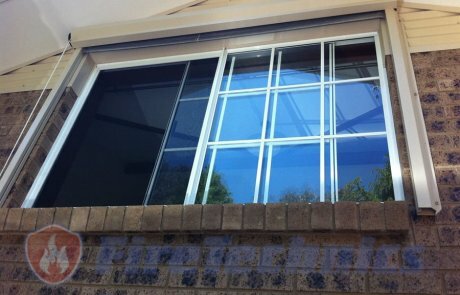 The possibility of making a window in different types of sizes and the variability of its installation make it possible to block windows up to six meters wide. Moreover, the complicated form and the inaccessibility of placement is not an obstacle to installation, if professionals do it. 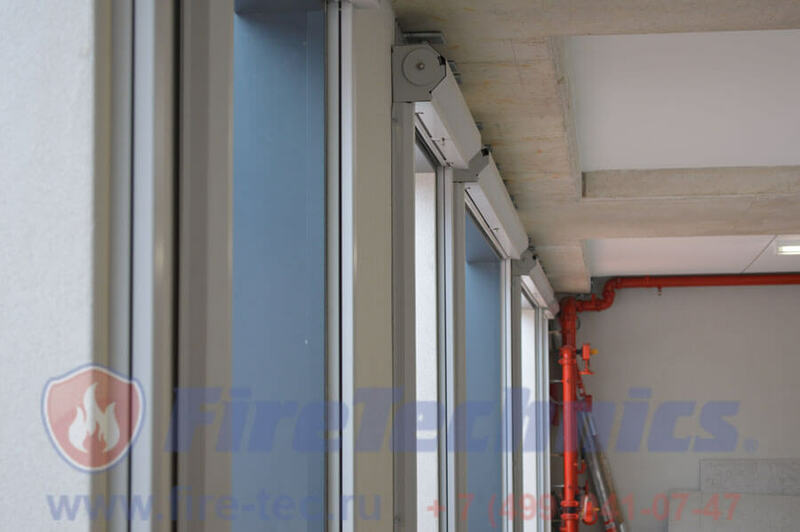 In the event of an outbreak, the fire alarm system sends a signal to the fire station post, as well as to the automatic fire brigade for windows management unit, which automatically drops at a rate of approximately 12 cm per second. As a result, they localize a foci of smoke or fire. Depending on the size of the canvas, the dimensions of the box vary. 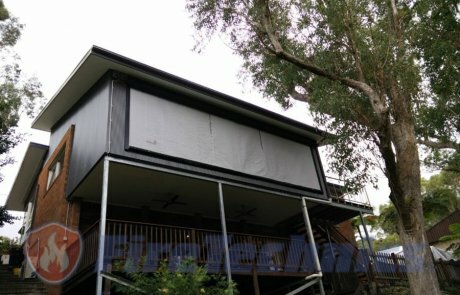 So when the height of the opening is less than 4 meters, they are 20X22 cm in section, if its height exceeds 4 meters, then 30X33 cm. Compliance with the above requirements is always confirmed by regulatory documents. 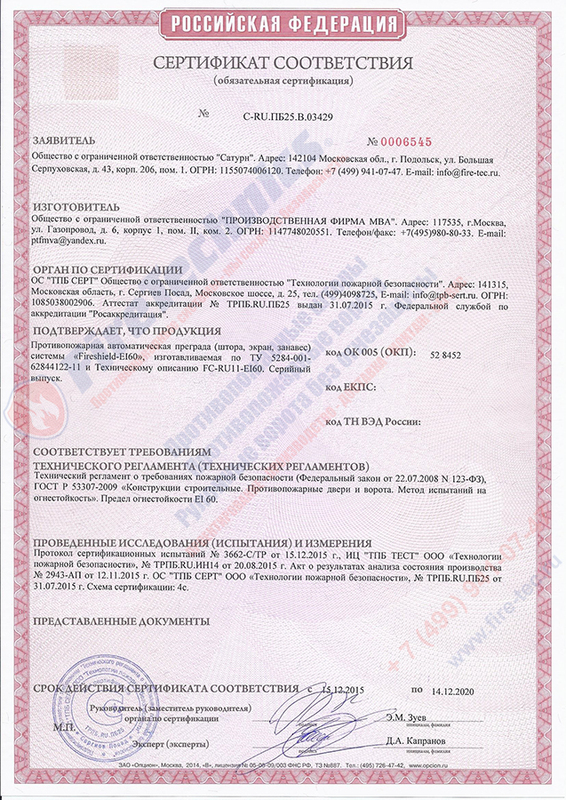 The certificate issued for fireproof curtains for windows confirms the conformity of the products with the current technical regulations, GOSTs and fire safety standards of the European model. 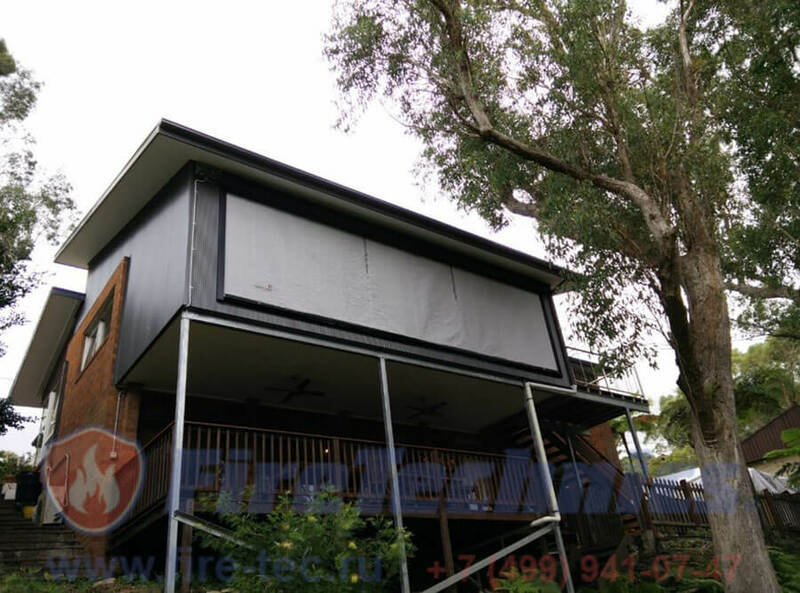 As for the limits of stability of fireproof structures, they can vary over a wide range, often with an increase in the level of resistance to burning by means of water irrigation. It implies installation on the structure of the water supply system, sprinkling water on the linen surface, thereby increasing the time of its flame resistance. 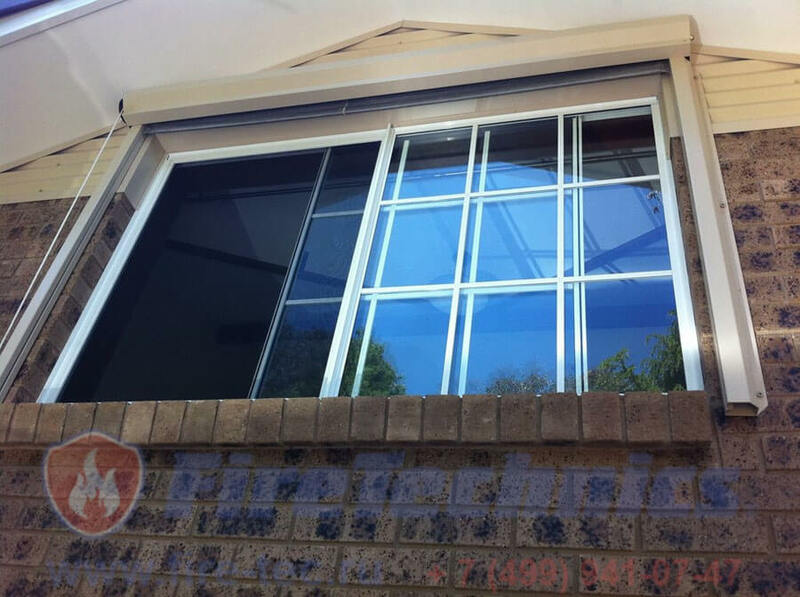 In order to get a certificate of quality compliance, all manufactured fireproof curtains for windows are fire tested in accordance with GOST standards and requirements, because otherwise they can not be considered fireproof. 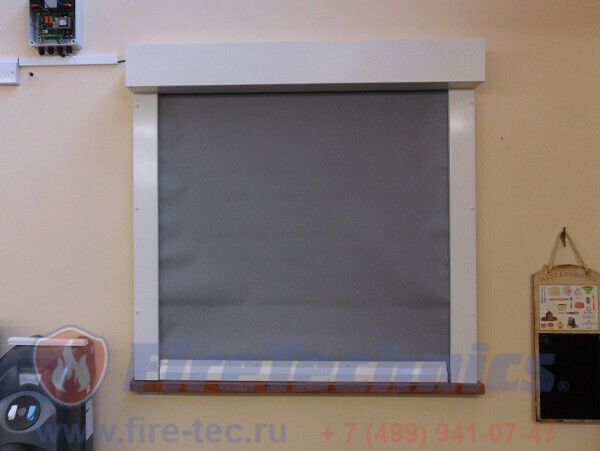 As already mentioned above, automated fire curtains for windows in Moscow, based on the limits of fire resistance, basically have one- or three-layer non-flammable and non-toxic linen, to enhance performance, additionally reinforced steel mesh. 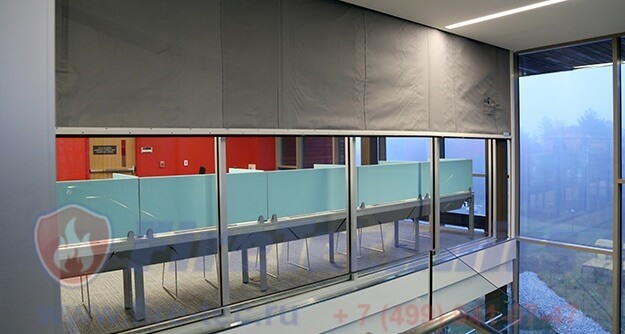 In individual canvases, a specialized composite material can be used that has the ability to expand at temperatures above 160 degrees, as a result, it provides increased protection against heat deluge. 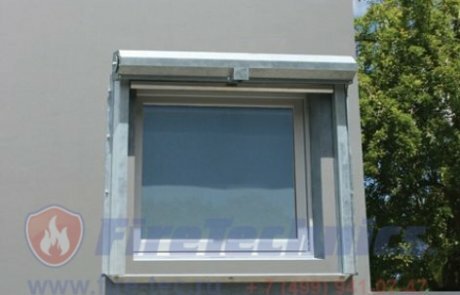 The company produces two types of window fire retardant membranes with fire-resistant limit EI120 with water irrigation and with the level of protection EI60 without water reflux. 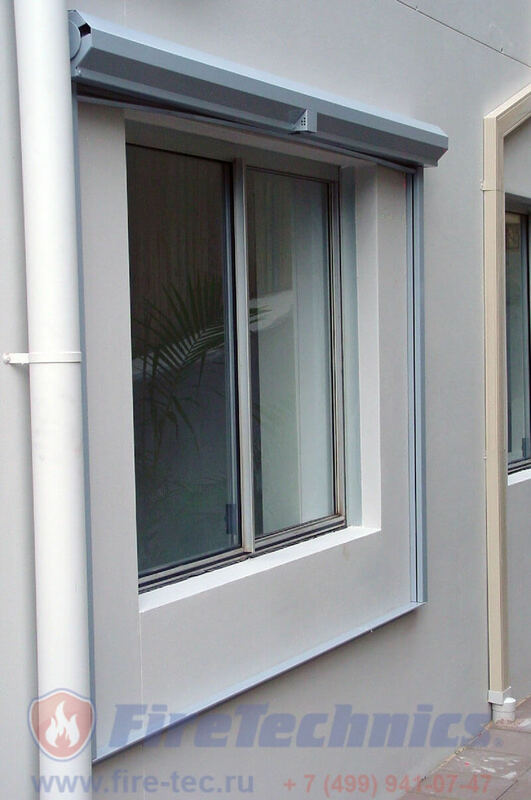 In the first case, installing fire protection for windows means protecting window openings with a lightweight fairtex 1100 cloth weighing only 660 grams and having a thickness of 0.63 mm. In the second case we use fairtex 60 of German production, hanging about 2.5 kilograms square meter and having a thickness of 3 mm. It is the inner layer of the latter that includes a thermoactive material that expands to 5 cm. 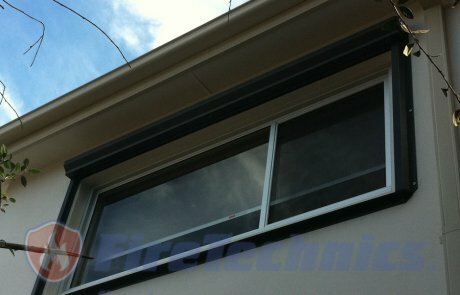 And capable of providing reliable protection against fire and heat spread. 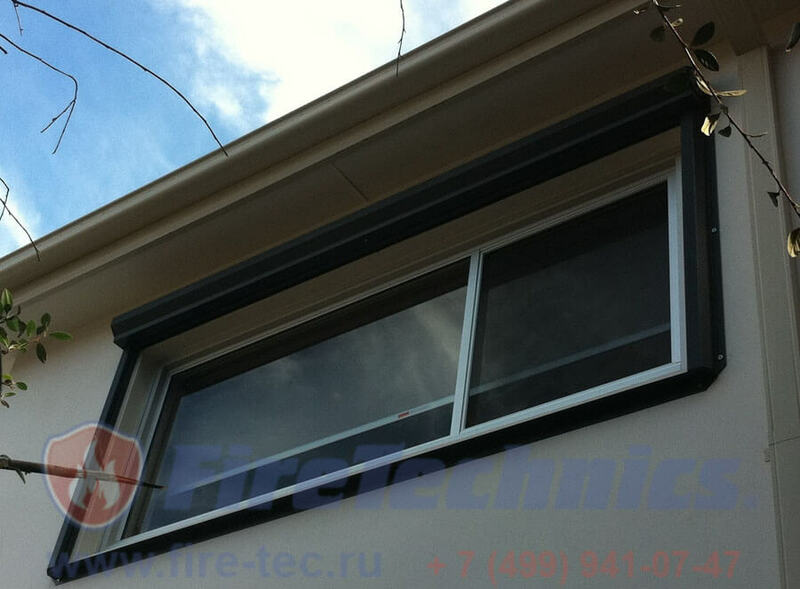 Guides – with fire-prevention curtains for windows , they specify the direction of the fabric when unwinding from the shaft. They are made of steel, sheets of which have a 2-mm thickness. Color execution can be any. 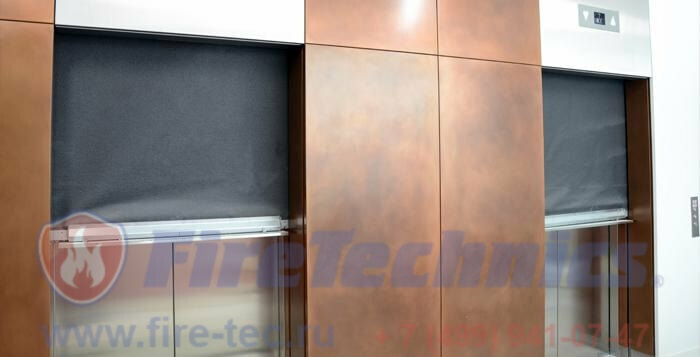 The box – it is made of sheet steel, subjected to galvanizing, having a half-millimeter thickness. Its ends are closed with lids, sealing the structure and simultaneously contributing to the transfer of torque from the engine installed inside the shaft. 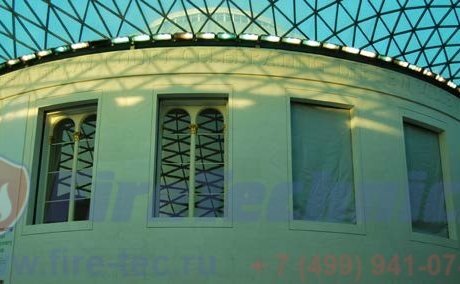 The structure can be painted in any shade from the RAL color scale. 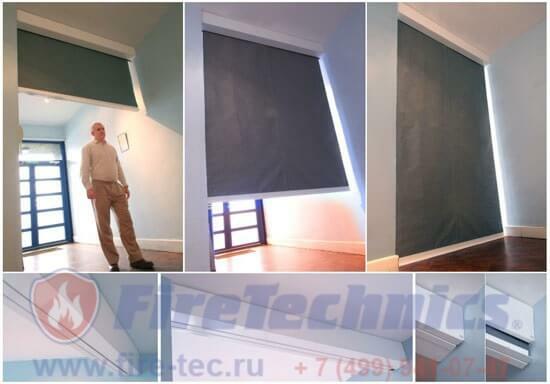 Fireproof curtains with a DISCOUNT only now! 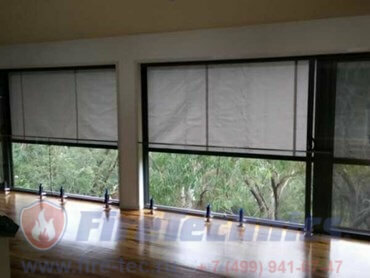 Why should you choose fire protection curtains for windows from the manufacturer of “FireTechnics”?